Chongqing is located in Southwest China and is China’s youngest municipality that established in 1997. Chongqing’s population as of 2015 is just over 30 million with an urban population of 18.38 million. 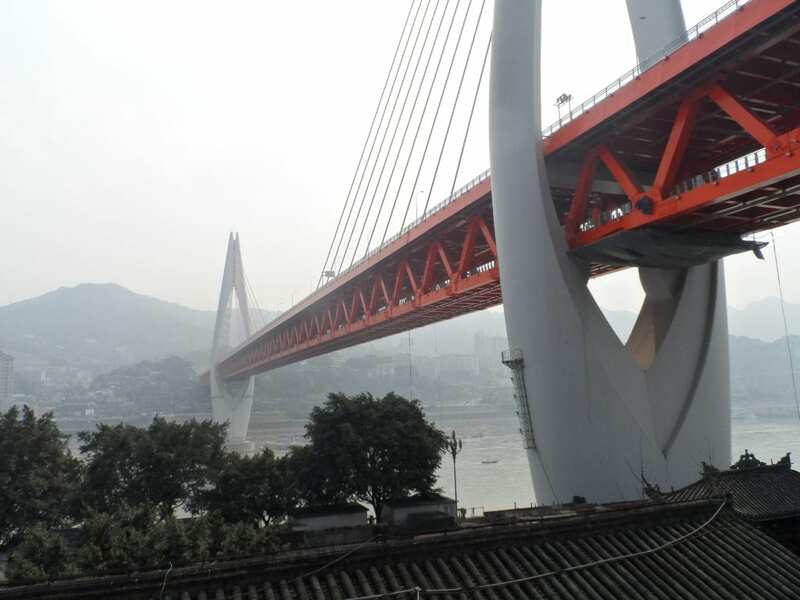 It has been described as one of China’s 13 megacities as it serves as the economic centre of the upstream Yangtze basin. It has a long history and has been nicknamed ‘mountain city’, ‘foggy city’ and ‘furnace city’ because of it is surrounded by mountains and experiences very humid hot monsoon weather in its hot, long summer months. Chongqing has a history spanning three thousand years, which has left behind lots of rich cultural attractions for tourists! With the mountain ranges, forest, waterfalls and caves, Chongqing’s a very visually attractive destination, with many natural world heritage sites as well as manmade- such as the Yangtze River Three Gorges. In 2015 it was ranked the first more attractive tourist destination in China, and is thus a very desirable place to go teach! 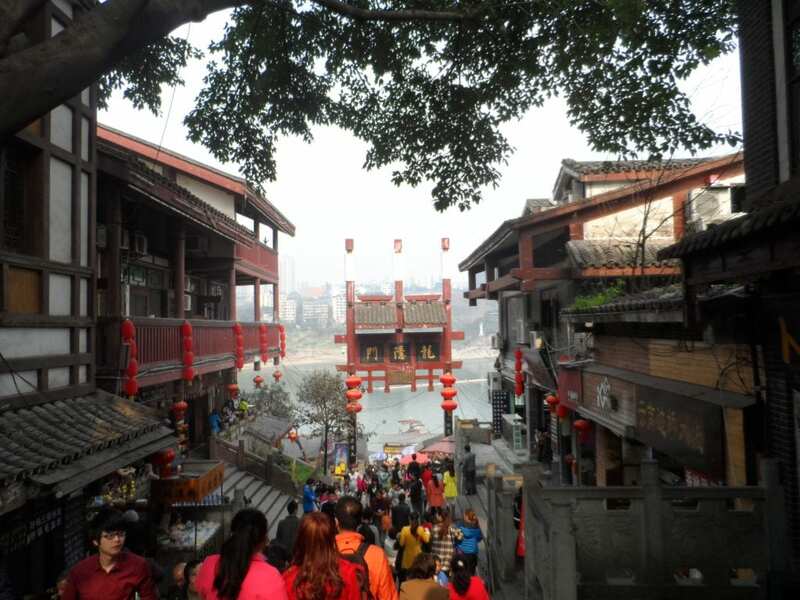 Ancient Town – The Ancient Town of Ciqikou is a good place to walk around and experience Chinese folk customs on spare weekends. The three main attractions of the ancient town are the tea bars, artists’ studios and the Shu Embroidery workshops. Dazu Rock Carvings – with over 50,000 carved stone figures. These carvings date back to the period of the late Tang dynasty, and they give priority to Buddhist, Confucius and Taoist carvings. The carvings were off limits to visitors for many years, and only opened up to foreign visitors in 1980, which helped with the preservation of these carvings by anti-religious vandalism during the Cultural Revolution. Liberation Stele Pedestrian Street – This Street is home to numerous departments’ stores, hotels and restaurants. The Liberation Stele on the Pedestrian Street is the only memory of the victory against the Japanese aggression. You can get almost all Chongqing food and snacks in the street, at the various stalls dotted around. Although, Chongqing is not as modern as Beijing or Shanghai, it is still hope to a many large shopping areas. There are five shopping areas in the region which are: Jiefangbei Business District, Guanyinqiao, Yangjiaping, Nanping Pedestrian Street and Shapingba Three Gorges Square. The Chaotianmen Market, is the largest market in the city. Selling garments whose prices can be bargained down! Chongqing has many forms of transport available at your disposal. It has a good railway (Chongqing Railway Station), waterway, highway and aviation (Chongqing Jiangbei International Airport) systems. Approximately 140 scheduled trains pass through the city daily and these trains can reach all the capital cities of China. People can take taxis to almost everywhere in the area. Chongqing is home to a vibrant night life, with many bars, movie theatres and dance clubs to liven up the evenings. Chongqing’s Studio City Centre is the largest Cineplex in the area, and although most films are in Chinese, there are some films with English subtitles shown. And when you want a bit of relaxation time, there are many bars, pubs, cafes and teahouses in Nan Bin Road. The street is the nightlife hub of the city and can easily be found with its neon lights. Venture No. 88 bar which plays modern music and boasts European-style decor.